The technical skills available from SAIW add value to businesses through productivity and quality improvement, problem solving, development work and investigation services. The SAIW specialises in five distinct areas in which they offer consultancy services. Our Consultants can assist with failure investigations performed on weld related premature failures or unacceptable wear of any metal surfaces. The cause of failure is determined and preventative solutions are supplied. Advice is also given on the repair or reclamation of failed or worn equipment and structures. Economically feasible design improvements can be made to increase the service life of new or reclaimed equipment and structures. 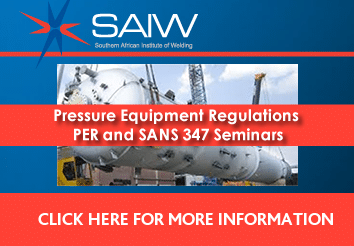 SAIW also offers emergency or difficult repair/reclamation welding services to industry. Our Consultants can assist with: technical information and support regarding welding and cutting processes including arc, laser, electron beam and resistance welding, brazing, soldering, adhesive bonding, mechanical fastening, oxy-fuel, plasma, laser and water jet cutting. Design and manufacturing support; selection and use of welding standards or codes regarding design application, related welding procedure and welder qualification and quality acceptance. SAIW can assist the manufacturer in the qualification testing of welding procedures and welders. 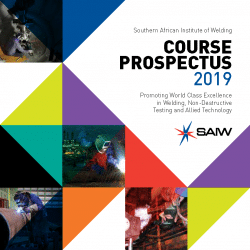 SAIW also conducts feasibility studies on new or difficult applications in order to develop the most suitable joining or surfacing procedure and, depending on available capacity, may perform all the production welds. Our Consultants can assist with evaluation and improvement of weld quality; information and advice on quality systems for welding, according to the requirements of ISO 9001, ISO 3834 and ISO 14731 standards. 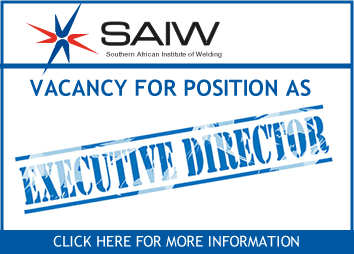 SAIW can also take responsibility for all welding operations performed on behalf of the manufacturer or third party inspection for the purchaser by acting as the ‘Authorised Welding Co-ordinator’. Our Consultants can assist with: technical information and support regarding steels, stainless steels, aluminium alloys, nickel alloys, coppers and bronzes, titanium alloys, cast irons, engineering plastics, ceramics, metal matrix composites, and surfacing (hard-facing or cladding) alloys. Advice on weldability, i.e. cracking susceptibility and properties (mechanical, fatigue, fracture toughness, impact toughness and corrosion) is available. The effect of joint design, filler material, welding heat input and post-weld heat treatment (e.g. stress-relieving or annealing) on weldability is also addressed. Investigations into weldability of materials may also be undertaken on behalf of the client. Industry sectors such as the steel producers or mines always have common weld related problems or unacceptable equipment service performance. Industrial research and development can be performed in problem areas of common interest, and good return-for-investment solutions can therefore be developed. These collaborative R&D programmes will be conducted on a national level and may comprise SAIW, members of industry, government, academic institutions and testing laboratories.